Leave it to Lane Kiffin to be fired from a job (Alabama offensive coordinator) that he already quit. As a result, Kiffin won’t be on the sideline tomorrow for the biggest college football game in America as the Crimson Tide defends its national title in a rematch with Clemson in the “Natty.” His failed USC successor Steve “Moonshine” Sarkisian will be calling the plays for Alabama. Who will ESECPN’s Kirk Herbstreit gush about for three-plus hours without Kiffin huddling behind his little laminated card? If you took a gulp of beer every time Herbstreit heaped fawning praise on Kiffin during last year’s Natty, you would have been smashed by the second quarter. It seems as if a little dark rain cloud follows Lane’s every step of his rocky career. With Kiffin, there is an abundance of football talent, and yet a gaping deficit in personal public relations. Consider that Kiffin was shown the door by the Oakland Raiders, publicly called a liar by the late Al Davis. 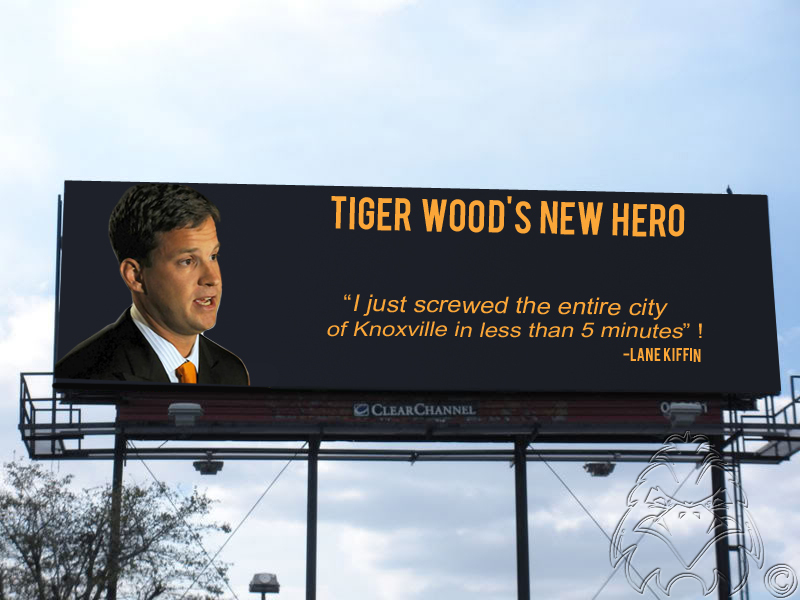 He skipped out on the Tennessee Volunteers after one season, leaving the school, team and coach staff in the lurch. 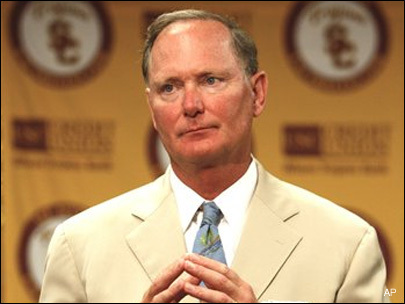 He was fired in the LAX parking lot at 2:30 am by then-USC Athletic Director Pat Haden when too much became too much. 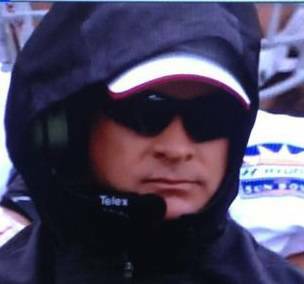 And now by “mutual” consent with legendary Alabama Head Coach Nick Saban, Kiffin will not be the offensive coordinator for the best team in the land in the biggest game of the year. 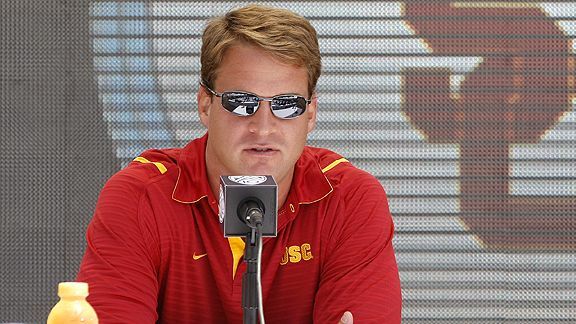 If you are keeping score at home, here are the raw numbers for Kiffin’s another-chance-after-another-chance career: Oakland, 5-15; Tennessee, 7-6; USC, 28-15 for a grand total of 40 wins and 36 losses. 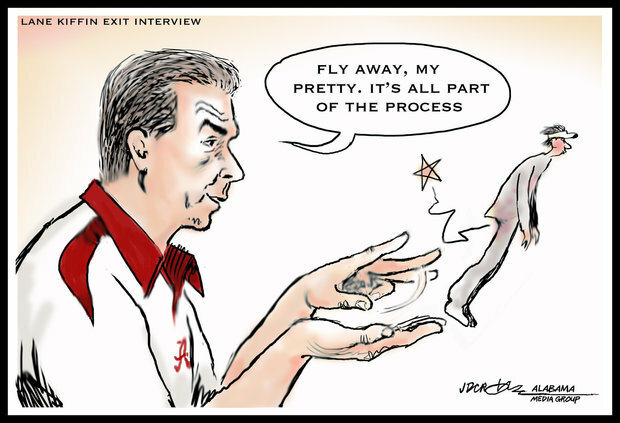 Give Kiffin credit: He has turned mediocrity into a lucrative (read millions) art form. The above question implies that Kiffin will actually spend three years at FAU. Considering Kiffin’s track record, three years is most likely a stretch. How does Lane Kiffin keeping failing only to be given new life time-and-time again? It’s akin to giving Anthony Weiner access to Twitter once again. The result is not going to be pretty. It would be hard for Almost DailyBrett to make up all of these transgressions: Airport parking lot termination, locker room fights, banned reporters, deflated footballs, missed dinners, departed team buses, jersey changing incidents, recruiting decommits, the hoodie, the sun glasses, even the petty precluding of visiting teams merely walking through the LA Mausoleum before games. When the Crimson Tide’s Nick Saban hired Kiffin as his offensive coordinator three years ago, didn’t you know the Great State of Alabama was not big enough to hold both of their legendary egos and related arrogance at the same time? The public explanation for Kiffin’s latest dismissal is that he was not devoting the time and effort necessary for a team preparing for the Natty. Kiffin was also hiring his FAU staff and recruiting players for the Boca Raton-based school. Something tells Almost DailyBrett that Kiffin was garnering way too much attention (i.e., Herbstreit on ESECPN, Gary Danielson on CBS) and taking too much credit away from Saban. If Alabama wins Monday, he will tie the immortal Paul “Bear” Bryant with a record six national championships. Somebody needed to go, and it was the one who was already going. What’s curious is after one former failed USC coach being dismissed as Alabama’s offensive coordinator, Saban is now relaying on another former failed USC coach. If Steve Sarkisian learned anything from the legendary mistakes of Lane Kiffin, it’s good to humble and to allow the boss to receive the lion’s share of the Crimson Tide glory. STAMFORD, CT., May 15, 2016 – Capitalizing on its legacy Sputnik technology cluster, Charter Communications, Inc. (NASDAQ: SELL) today introduced its new suite of binary Internet and cable TV solutions, providing its long-suffering customer base with unprecedented opportunities to endure Sometimes On, Sometimes Not™ Internet and cable. 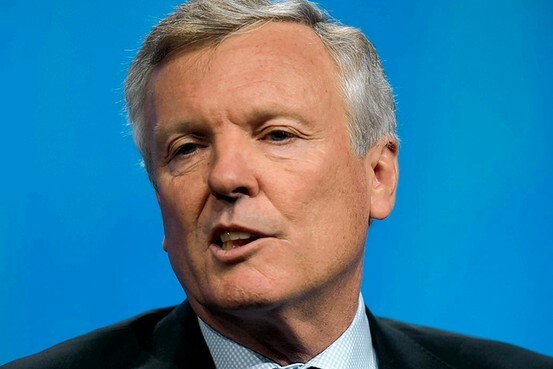 Charter with its binary Internet and cable television, replicates the on-and-off repetition of digital semiconductor technologies, and transfers them directly to overpaying customers. 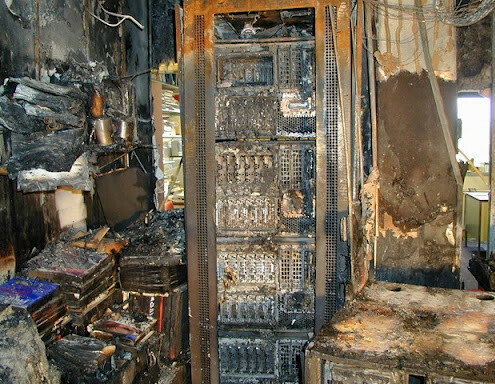 This landmark technology provides unparalleled unpredictability as to when and for how long the company’s technologies will be operationally unoptimized. 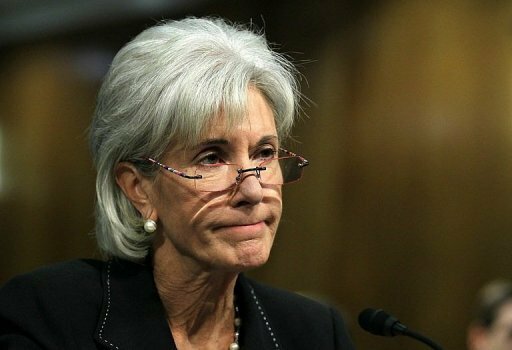 In order to accommodate a paradigm shift from digital-to-analog-to-Stone Age Internet and Cable TV, Charter announced today that Obamacare website architect Kathleen Sebelius is joining the Charter team as its new chief information officer. Charter, which extolls the virtue of mandated “bundling” of Web 2.0 Internet with 19th Century wireline telephony infrastructure for only $49.98 per month, is also offering customers targeted cable channels, denying them access to local-and-regional networks. For example, West coast viewers are provided in Charter Spectrum’s suite of 600+ channels access to the Big Ten Network (e.g., Great Lakes states) and ESECPN (good-ole boy states). At the same time, once again there is no Charter agreement to feature Pac-12 Networks. Football fans, subscribing to Charter in Washington, Oregon, California, Arizona, Colorado and Utah can check out this coming fall the likes of Rutgers, Maryland, Purdue, Indiana, Vanderbilt and Arkansas instead. In announcing Sometimes On, Sometimes Not™ Internet and Cable TV, Rutledge said Charter’s unpredictability play is intended to entice the adults at Comcast and other Internet and cable providers to seriously consider mercifully acquiring Charter. There is no joy associated in being picked last for kick ball. There are permanent scars for some not being asked to junior prom – if you don’t believe Almost DailyBrett, just ask former Rep. Michelle Bachmann. And then there is the spectacle of the celebrated college football stud, the ultimate BMOC, sitting in a nouveau riche suit bought by his sleaze-ball agent, waiting hours upon hours for his name to be called … and ESECPN cameras covering every nanosecond of the agony. 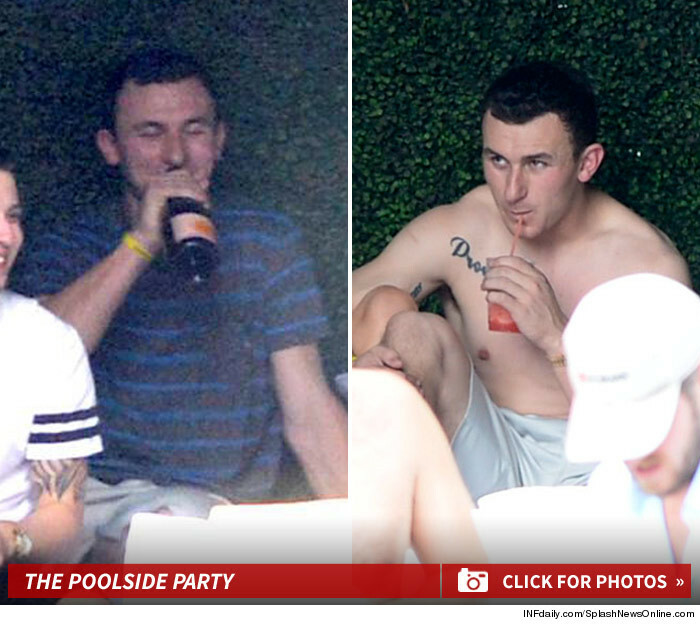 Does this scenario sound familiar Johnny “Rehab” Manziel? Surely, the home state Dallas Cowboys wouldn’t pass on the 2012 Heisman Trophy winner from Texas A&M with their 16th pick in the first round of the 2014 NFL Draft? Oops! They did exactly that. Finally, the Cleveland Browns rescued Johnny with its first-round selection in the 22nd position, ending the sordid spectacle of Manziel being passed up by almost two-dozen teams. In basketball, two teams forever regretted passing on Michael Jordan. Considering that Manziel just emerged from rehab, one can postulate that Cleveland is regretting awarding him with a four-year pact at $8.3 million; $7.55 million guaranteed and a $4.38 million signing bonus. 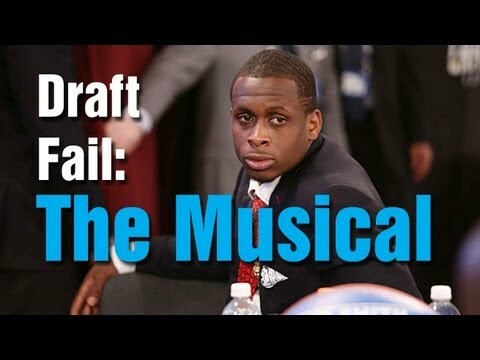 Remember storming out of Radio City Music Hall at the 2013 NFL Draft, Geno Smith? Your agent confidently projected you would be picked in the first round. Hmmm? Turned out it was the next night, Round 2, pick #39 overall, before your name was mercifully called by the New York Jets. The good news, Geno: You were picked by the New York Jets. The bad news, Geno: You were picked by the New York Jets. 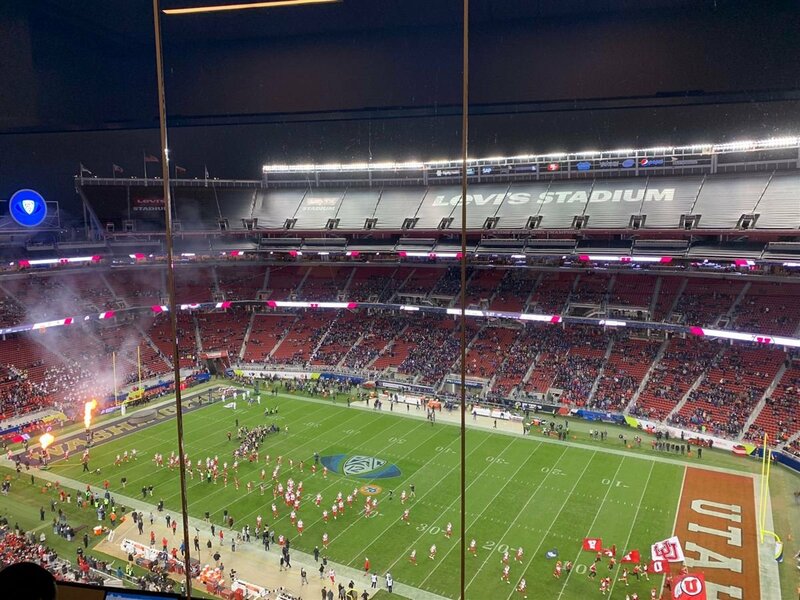 Let’s ask the obvious football public relations/reputation management/personal branding question right here and now: Why even show up for the first round, let alone be present for any of the NFL draft? Do you (e.g., football hero) really need a picture taken of yourself in another new ball cap, a jersey with #1, with the NFL commissioner? Isn’t what you really want, is a contract with as many guaranteed dollars as possible to play a violent game for four years or maybe longer? Maybe 2013 Heisman Trophy winner Jameis Winston is making a smart public relations move for once by so far deciding to not attend the NFL Draft festivities, even though he may be tempted by his agent to venture to Chicago’s Auditorium Theatre this coming Thursday. 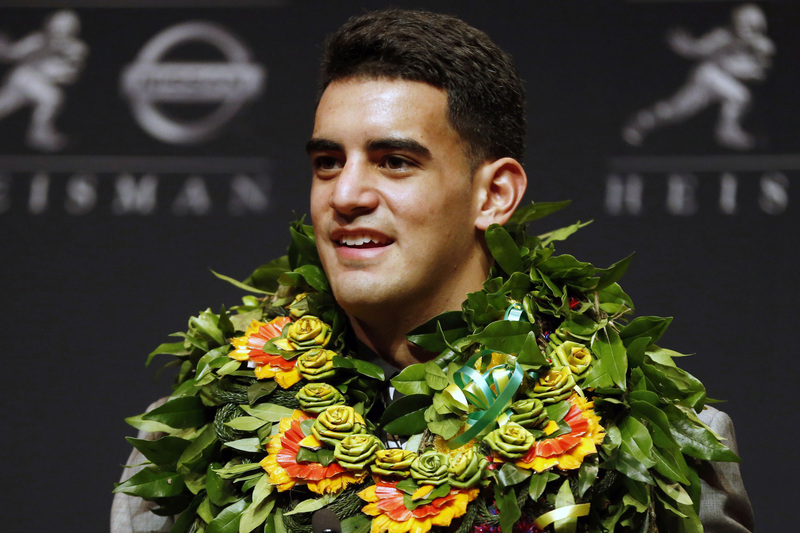 The 2014 Heisman Trophy winner, Marcus Mariota from Oregon, will not be in Chicago. 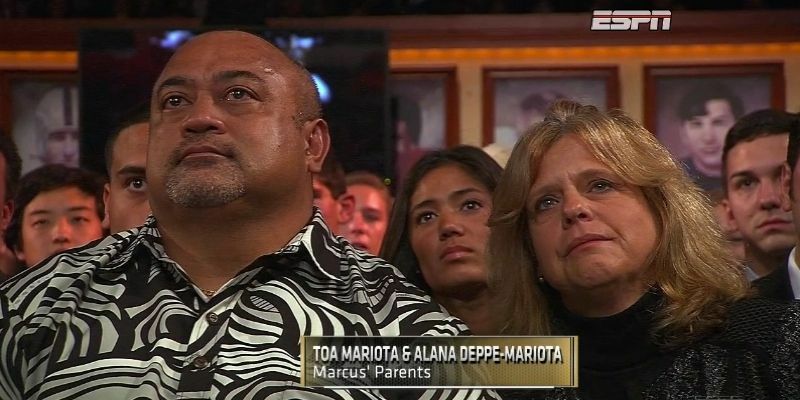 Instead, he will be home in Hawaii with dad, Toa Mariota, and mom, Alana Deppe-Mariota, and his family and friends. Mahalo! 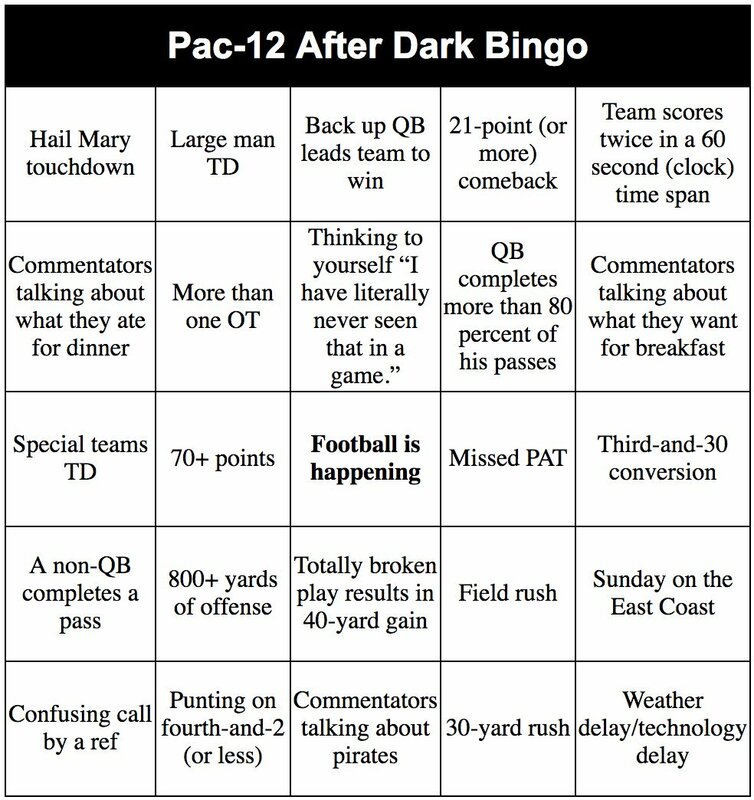 Yes, the author of Almost DailyBrett is a tad biased when it comes to the joys of Oregon football. Having dispensed with that obligatory consumer warning, it is still a great personal and PR move for Marcus to stay away from the draft. Besides where would you rather be: Hawaii or Chicago? After the notorious antics of the last two Heisman Trophy winners, Johnny Manziel and Jameis Winston, Mariota is refreshingly boring with his refusal to take any glory upon himself and ALWAYS thinking of his teammates. Who can forget Mariota breaking down in front of mom and dad, his coaches, and all the past Heisman winners as he accepted the most hallowed trophy in college football? Some wonder whether Mariota is too nice to play in the NFL. The question in some respects is an indictment of the league with its warm-and-cuddly owners, such as Jerry Jones. When and where to will Marcus be drafted on Thursday? San Diego? Tennessee? Cleveland (bye, bye Johnny no good(e)?) New York Jets? Philadelphia? Some days it seems that Mariota’s draft stock is up and some days it seems that it is down. Where is Marcus in the mock drafts? It changes from day-to-day. Seems remarkably similar to rolling tracking polling for political campaigns going down to the wire. These questions all point back to the wisdom and the genuineness of Marcus watching the draft back home in Hawaii with mom, dad, siblings and friends. If it turns out to take a little longer than expected (who really understands the vagaries of NFL scouting?) at least he will not look like Johnny Manziel or Geno Smith waiting for someone, anyone to draft him. And that includes the New York Jets. Believe it or not, college football finally got it right. Now let’s not screw it up. Think of it this way, there have been three eras in college football: The Bowl Era; the BCS and for the first time this past season, the College Football Playoff. 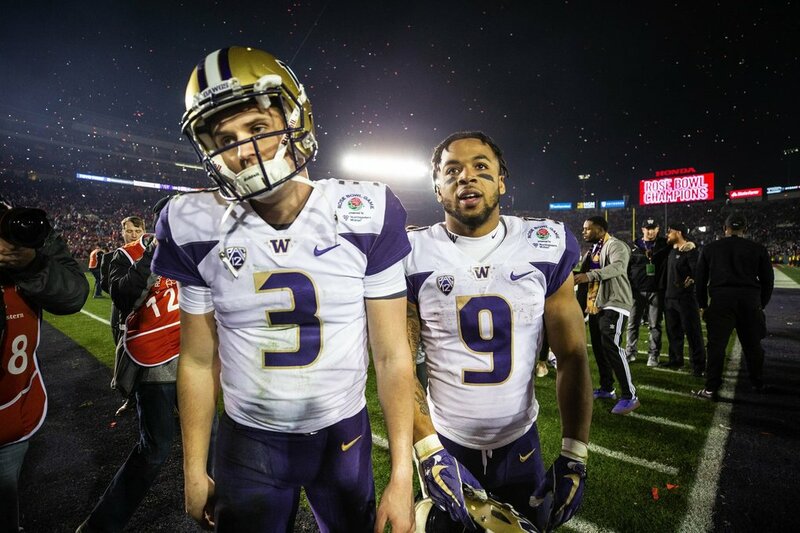 Using these three systems, only one would have produced the Ohio State Buckeyes as the national champion even though they would have played Oregon in the terminal bowl under each of the trio of regimes. The other “champions” would have been Florida State (bowl system) and Alabama (BSC). As a young tadpole, the author of Almost DailyBrett remembers spending virtually all of New Year’s Day watching the bowls. As a football manager of the USC Trojans in 1976, we lost one damn game, our opener against Missouri at the LA Coliseum. That loss cost us dearly. 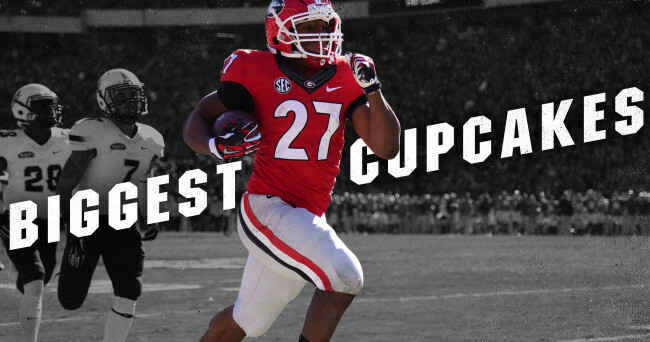 We were contractually tied into the Rose Bowl. We beat Michigan. We ended up No. 2 in all the land. Pitt with Heisman Trophy winner Tony Dorsett went to the Sugar Bowl and ended the season, No. 1 and undefeated. We never had a chance to play them. Using this very same bowl system, Florida State as the ACC champion would have gone to the Orange Bowl. Alabama as the ESECPN champ would been dispatched to the Sugar Bowl. 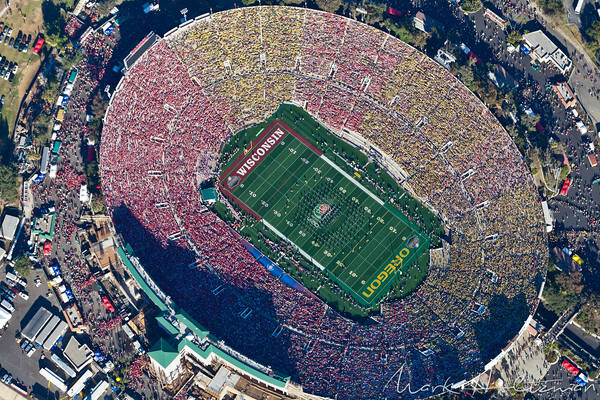 Oregon and Ohio State would have played in “The Granddaddy of Them All,” the Rose Bowl. If Florida State prevailed in the Orange Bowl, regardless of the opponent, the Seminoles would have been the national champion because of its perfect season and an unbeaten streak of 30-straight. There is zero doubt about this conclusion because everyone else had at least one loss. Reality check time: This is the same Florida State team that survived a series of close calls against basketball schools only to be literally destroyed by Oregon 59-20 in the Rose Bowl (e.g. 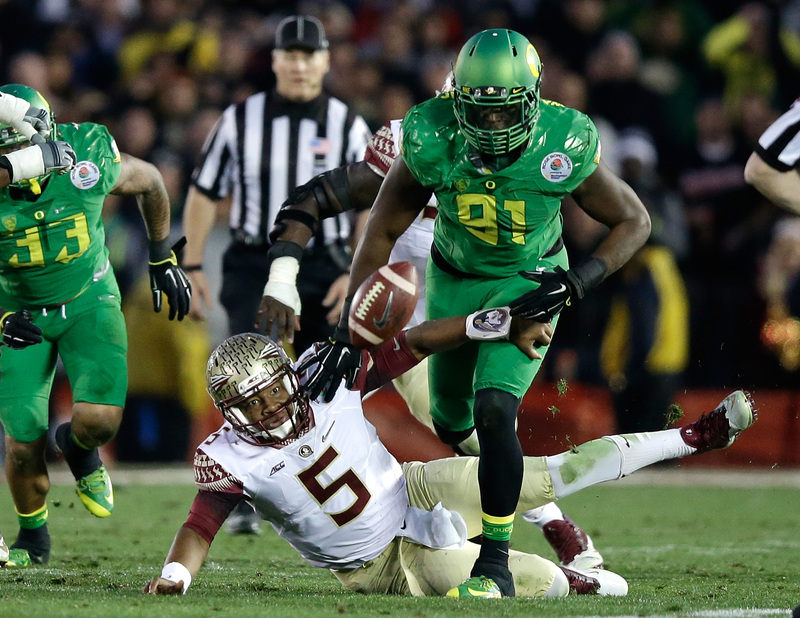 first playoff semifinal) as the Ducks feasted on five Florida State turnovers. So much for Florida State as the national champion, and its 29-game winning streak. In order to solve the automatic bowl tie-in conundrum, the college football gods came up with the Bowl Championship Series (BCS). Reflecting back on the unfortunate BSC era, the idea was to create a non-subjective human/computer ranking system that would disregard bowl tie-ins and conceivably send the best two teams in all the land to the BCS Championship Game. Besides triggering coast-to-coast controversy, the flawed subjective system paved the way for sanity to ensue in the form of a four-team playoff. If the BSC still existed this past season, is there any doubt that Florida State and Alabama (e.g., the two semifinal losers) would have played in the Championship Game? And the winner most likely would have been Alabama, making everyone at ESECPN (e.g., Rece “Alabama” Davis, Jesse “Florida” Palmer, David “Georgia” Pollack, Lee “Florida State” Corso …) real happy. The two playoff finalists (e.g., the teams that handily beat Alabama and Florida State respectively) would have played in the Rose Bowl. Translated: the result of the Ohio State vs. Oregon Rose Bowl would have been irrelevant in determining the national champion. 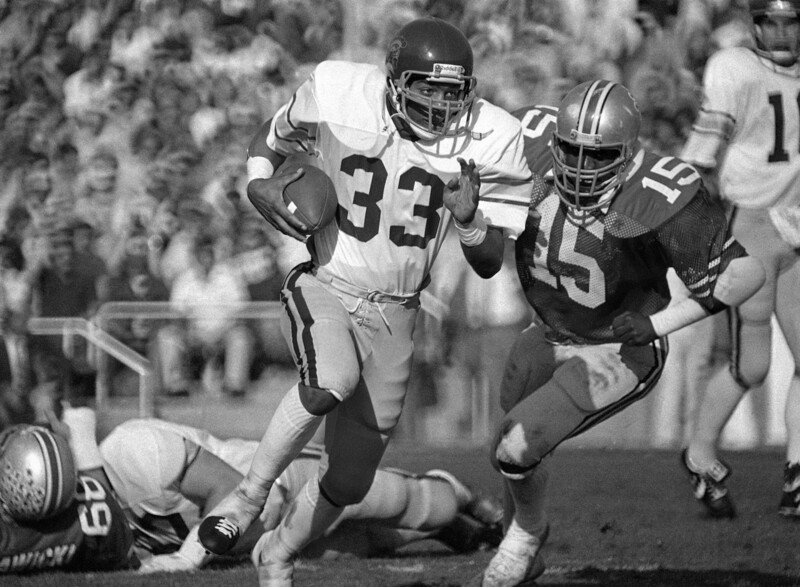 Ohio State would have been locked into the Rose Bowl under the auspices of the bowl era. 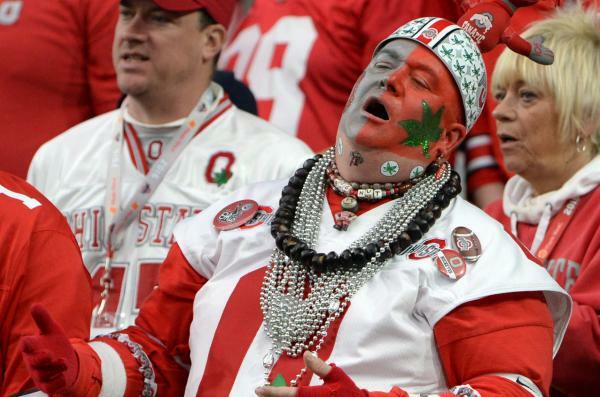 Under the BSC, the Buckeyes would have been relegated to the Rose Bowl because the college football Pharisees would have selected undefeated Florida State and ESECPN champ Alabama. In neither case would Ohio State be able to compete for the national title even though the Buckeyes have now proved they are the best team in the land. 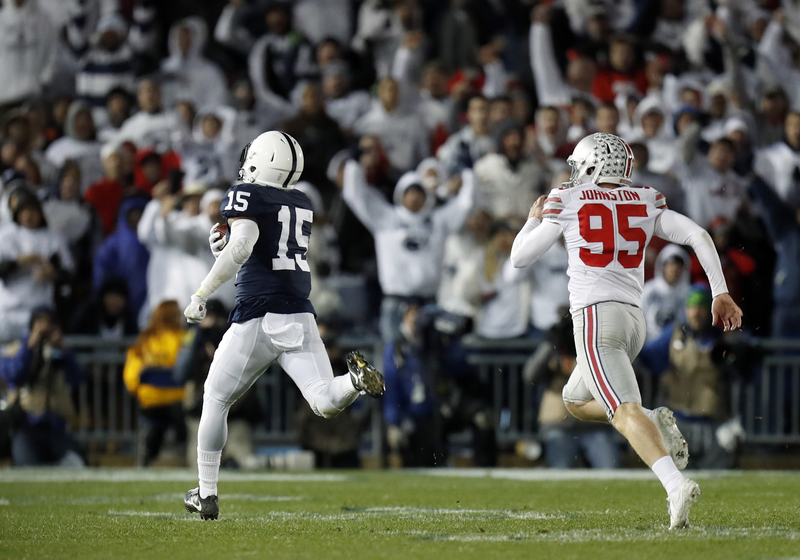 The college football playoff provided the backdrop for Ohio State to play for and win the national title. Baylor and TCU may be upset about being left out of the dance, but doing the Texas two-step … there is no way the Bears or Horned Frogs would have beaten the Buckeyes. There are some who may clamor for an eight-team playoff or a 16-team playoff, a 32-team playoff, a 64-team playoff, a 128-team playoff (e.g., Oregon State would be playing for the national championship). Yes, there are five major conferences and increasingly inconsequential Notre Dame and one champion obviously will not make it to the four-team dance. Three wouldn’t have made it to the BSC championship game. Let’s leave well enough alone. The College Football Playoff worked. 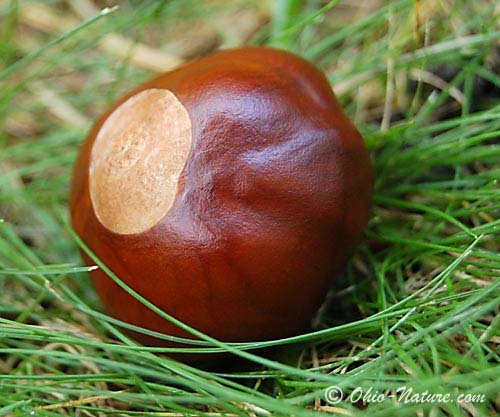 Let’s salute The College Football Playoff for a job well done, and also the Fighting Chestnuts of Ohio State. 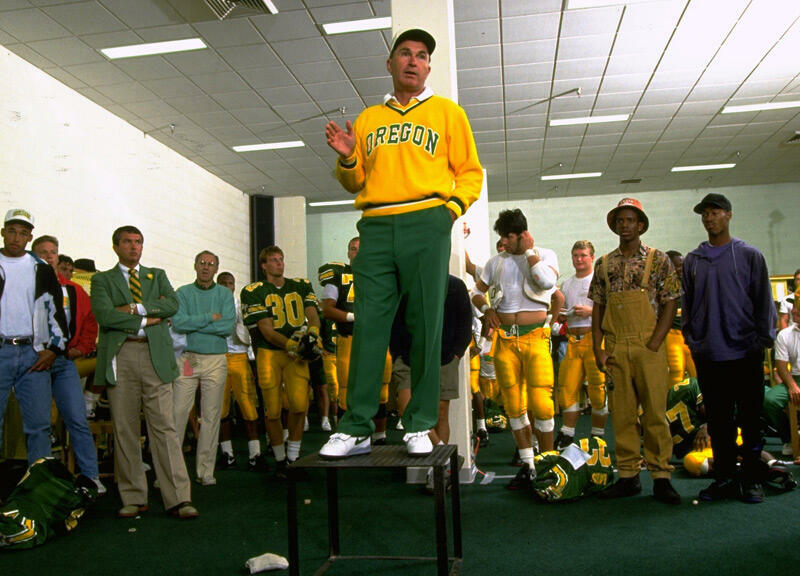 Reportedly, a 36-year-old Rich Brooks was told there was no way he could win at Oregon, when he accepted a $32,000 per year, four-year contract to become head coach in 1977. There were no natural advantages at the counterculture oriented, liberal arts university located in a college town tucked away in a sparsely populated, rainy slice of America’s cul-de-sac, the Pacific Northwest. Brooks predecessor was 9-24 in three years. And for the most part they were correct. Ground zero was the absolutely awful 0-0 “Toilet Bowl” tie against Oregon State in 1983. Thankfully, the game will go down in NCAA history as the last scoreless tie ever played. Hmmm…the Ducks played in the last scoreless game and the first college football playoff game, dominating Florida State 59-20 and winning the Rose Bowl as well. What a difference three decades can make? 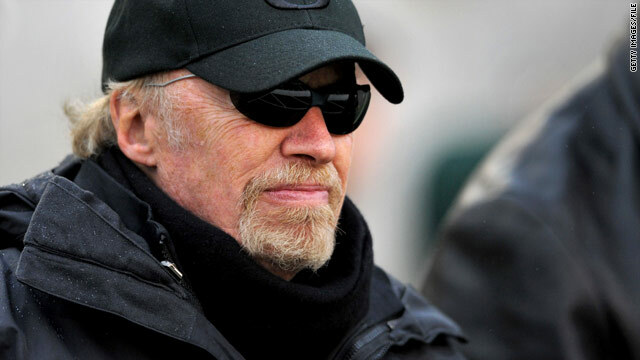 And according to USA Today, ESECPN and others, all the credit goes to Nike founder/super $19.9 billion alumnus Phil Knight. As we celebrate the legendary contributions of Phil and Penny Knight in terms of Oregon’s brand and facilities, let’s not forget the achievements of an Oregon State grad, Rich Brooks. During the course of his 18-year stint as Oregon’s head coach, the Ducks went 91-109-4 … not a record that would prompt anyone to write home to mumsy. Many alums were calling for Brooks scalp, when one year of mediocrity followed another in the early 1990s. Oregon played in a relatively small (41,000 capacity at the time) noisy stadium, Spartan facilities, rarely on television, and had trouble competing against the USCs, UCLAs and most of all, the Washingtons of the conference. And yet Rich Brooks hired the core group of coaches that started the Golden Era of Oregon football: Mike Bellotti, offensive coordinator; Nick Aliotti, defensive coordinator; Don Pellum, linebackers: Gary Campbell, running backs; Steve Greatwood, offensive line; and Jim Radcliffe, strength and conditioning. In turn, they found gems in the rough … Danny O’Neil, Ricky Whittle, Cristin McLemore, Jeremy Asher, Rich Ruhl … and a redshirt freshman defensive back by the name of Kenny Wheaton as in, “Kenny Wheaton is going to score. 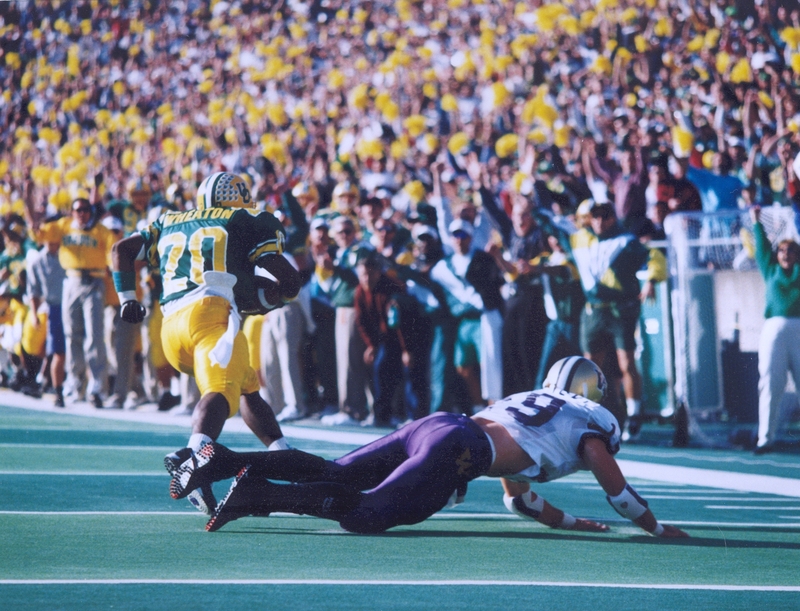 Kenny Wheaton is going to score” that propelled the Oregon Ducks to their first Rose Bowl in 37 years in 1994. The Oregon Ducks with traditional uniforms that mimicked the look of the Green Bay Packers with no swooshes to be found gave #No. 2 Penn State holly heck that day before falling 38-20. Even in defeat, it finally become cool to root for Oregon. After winning national coach of the year awards, Rich Brooks was a hot commodity. He was hired by the St. Louis Rams for a contract far in excess of his $32,000 starting salary at Oregon. What followed was the heralded conversation between “Uncle Phil” and Brooks’ successor, Mike Bellotti. 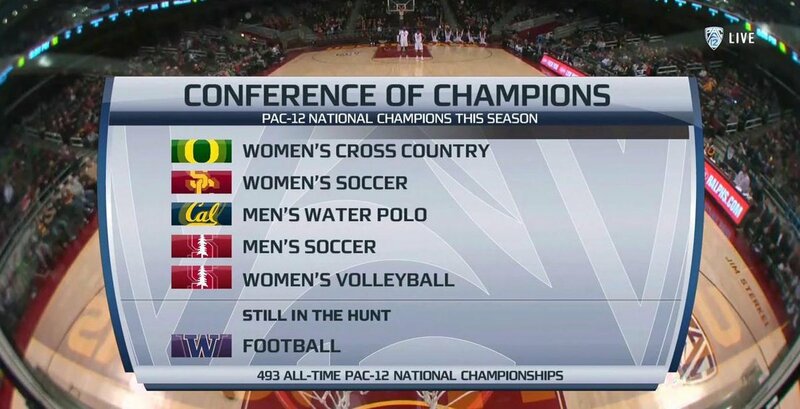 What did Oregon need to compete? An indoor practice facility. The rest is history. Knight wrote the $10 million check that allows Oregon athletes to work on their game year round. Since that time, Knight invested more than $300 million to the Oregon Athletic Department including $70 million for the football performance center, $60 million for the renovation and expansion of Autzen Stadium; $60 million for an academic center and $100 million for the basketball arena (e.g., the Matthew Knight Arena). 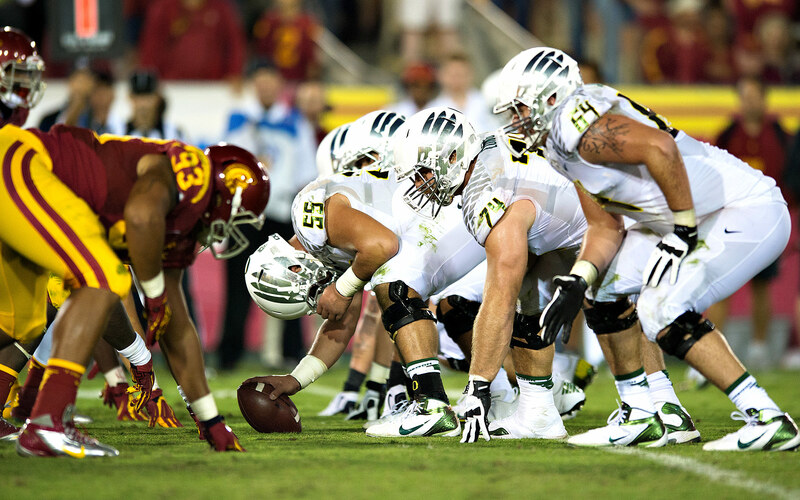 The Ducks in turn have revolutionized football, particularly under Chip Kelly and Mark Helfrich as head coaches, and Scott Frost as offensive coordinator. Wearing the cool Nike uniform du jour, the Ducks run their spread offense at a warp-speed tempo and put up ridiculous amounts of points. They still don’t out-recruit USC or UCLA, but they find their “guys” to fit into the system, and Almost DailyBrett knows the coolness factor helps attract the attention of studs that would never have considered the little school from the little state in the Pacific Northwest. The bricks of the Berlin Wall of negative recruiting … lousy weather, subpar facilities, no bowls, no championships, no Heismans, no television … have all fallen by the wayside. To be fair, we need to reflect on the guy that got it started, Rich Brooks. He will never be accused of being warm and fuzzy, and maybe that contributed to those who called for his firing in 1993-1994. He turned the Ducks around. It took a patient 18 years, but his perseverance was rewarded. 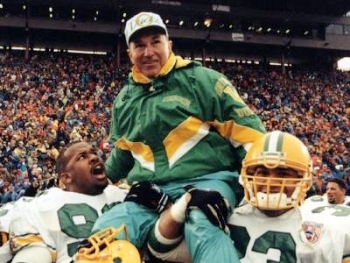 He ushered in the Golden Era of Oregon Football. “When in doubt, declare victory.” — Oft heard political axiom in Sacramento. For some reason, Jeff Long, chair of the College Football Playoff Committee, could not simply proclaim that his 12-member committee got it right: The four-best football teams in the country are in the long-awaited, first-ever January 1 playoff for the championship trophy. 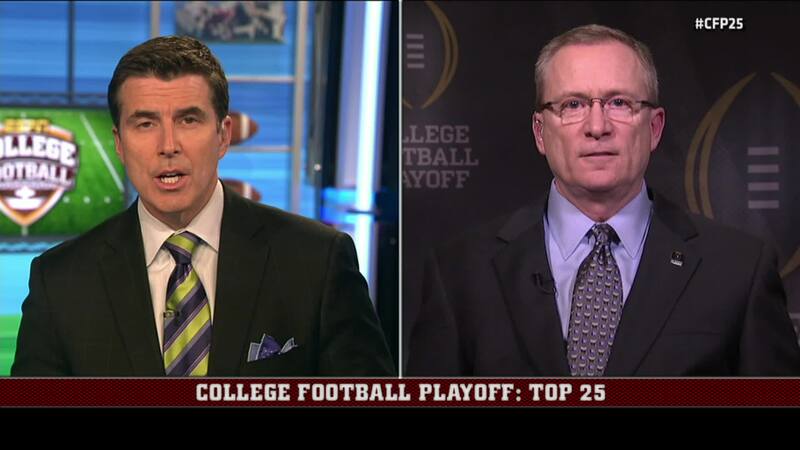 In the face of persistent badgering by 1988 Alabama graduate Rece Davis of ESECPN, Long came across as defensive, almost apologetic and unsure. He inadvisably went down paths best left untrodden, and seemingly couldn’t wait for the public grilling to end. 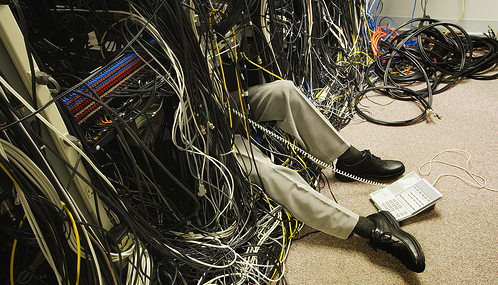 Admittedly, the present University of Arkansas athletic director was operating on little, if no sleep. He and his committee members had a thankless job; shoehorn four major conference champions into two bowls, and leave one big-time conference champion out in the cold (e.g., Baylor). Guess what? This problem will persist next year. Get used to it. Many, many moons ago, the conference champs were simply locked into the major bowls. If this scenario was still the case: Alabama would be in the Sugar Bowl; Oregon and Ohio State would be in the Rose Bowl; Florida State would be in the Orange Bowl; Baylor would be in the Fiesta Bowl … and TCU would still be moaning and complaining. How would one determine the national champion? The polls? The computers? ESECPN? 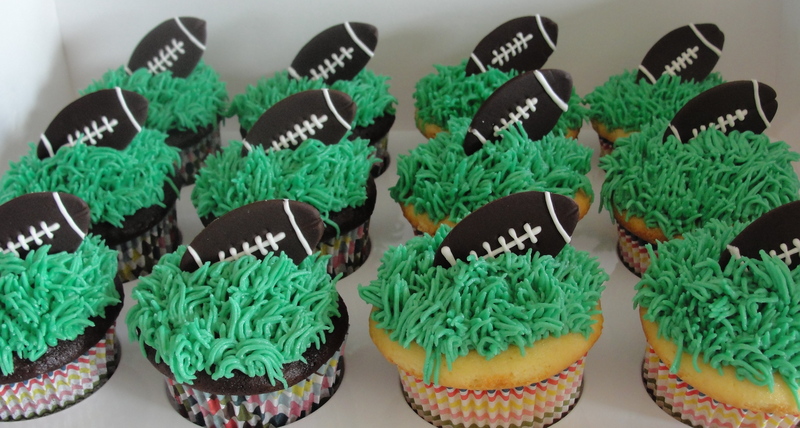 The BSC … err BCS (Bowl Championship Series) … was devised to improve upon the automatic bowl lock-ups, producing supposedly a matchup of the best two teams in the country. If that was still the case, Alabama would be playing Oregon and undefeated Florida State would be left out … or would they? Wait a minute would the BSC exclude the defending national champions, the winner of 29 straight games and counting? Of course not. The Tri-Lateral Commission for Dominance by the Eastern Time Zone (TLCDETZ) and ESECPN would not allow a team located in a sparsely populated Western state in America’s cul-de-sac (e.g., Pacific Northwest) to throw a monkey wrench into a classic matchup between SEC-champion Alabama and pseudo-SEC team, Florida State. You can be sure that Davis (Alabama), Jesse Palmer (Florida), David Pollack (Georgia) and Danny Kanell (Florida State) would not allow that to happen. 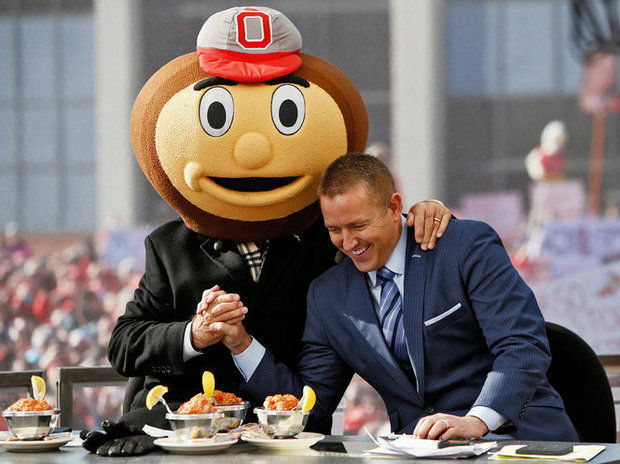 Ditto for Kirk Herbstreit (Ohio State), Joey Galloway (Ohio State), Lee Corso (Florida State), Desmond Howard (Michigan), Lou Holtz (Kent State) or Mark May (Pitt). Did you note the time zone for these gents’ alma maters? The Eastern Time Zone. It must really bum them out that Oregon’s Marcus Mariota is going to win the Heisman. Guess, there really must be life west of the Hudson. The committee made the ill-fated decision that Chairman Long was going to be its one-and-only spokesperson. Don’t get me wrong, Long comes across as a nice competent guy, but does not have the smoothness, confidence and gravitas to serve as an effective spokesman. 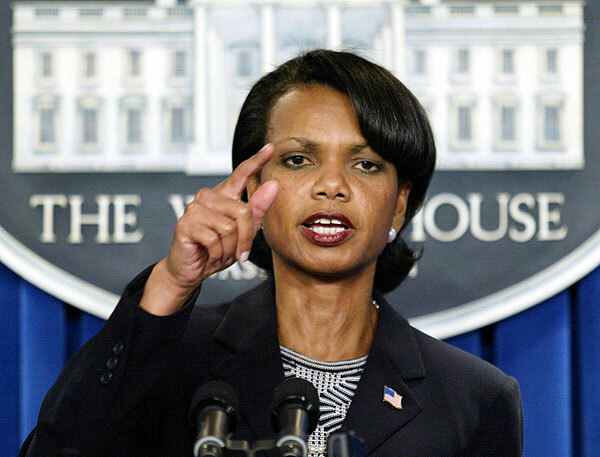 The committee could have turned to Stanford Provost Condoleezza Rice, who earlier served as national security advisor and secretary of state for two administrations or USC Athletic Director and Rhodes Scholar Pat Haden to carry the PR ball. Something tells me that neither Rice nor Haden would have publicly punted the ball in the face of the fierce ESECPN verbal pass rush. Let’s face it: No system is perfect, but this one is easily better than any that has come before or any other (e.g., an eight-team playoff; there are not eight great teams … and number nine would be whining). This is where the When in doubt, declare victory mantra works. Regardless of the questions from the Pharisees at ESECPN, a confident spokesperson (e.g., Rice or Haden) keeps coming back to how this system is easily the best, far better than anything that preceded it, and best of all, the top four teams in the land are going to get it on. Let’s tee it up on New Year’s Day.